The renowned Rockpool Dining Group (RPDG) fronted by chef Neil Perry has included Tasmanian artisan Lark Distillery, Nant Distilling Company, Overeem Whisky and Forty Spotted Gin products to their curated collection of premium Australian food and beverage. 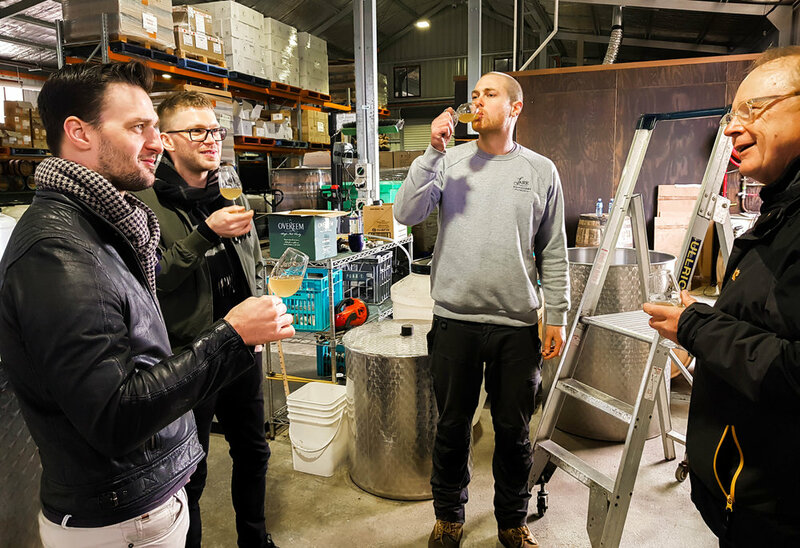 Earlier this year Australian Whisky Holdings had the pleasure of hosting Ryan Gavin, National Bar Manager and Bon Kuil-Hartikanen, Sydney Bar Manager in Tasmania. Head Distiller’s led Ryan and Bon through in-depth tours of our boutique distilleries with tastings of our handcrafted spirits. Australian Whisky Holdings is excited that an industry leader such as RPDG has recognised the strength of the Australian distilling industry and we are proud to be served at the Rockpool Bar and Grill. Our handcrafted single malt whiskies and gin can be enjoyed at the flagship Rockpool Bar and Grill located at 66 Hunter Street, Sydney.